Hi and welcome back to my blog. Today I have for you a card that may look familiar. Last week I made a card like this for a girl and today I thought I would show you the boy version. It is pretty much made the same way I just changed out the colors and the sentiment. 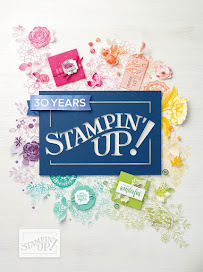 I started with a Stampin' Up! Very Vanilla card base and made my first layer out of Pool Party. 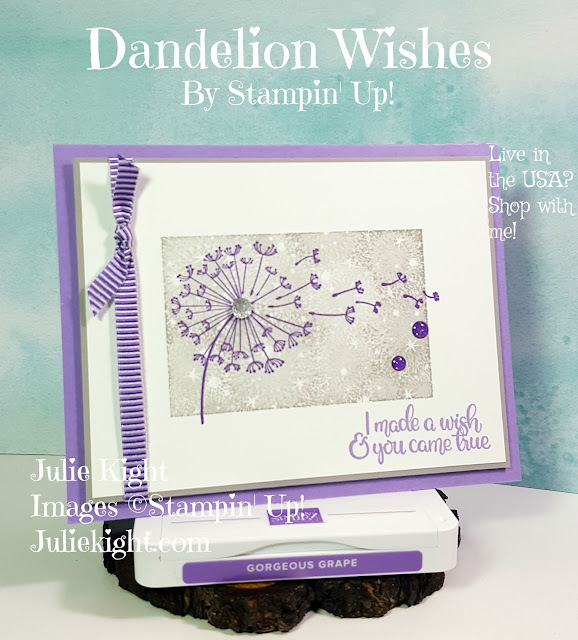 Next, I cut the next layer out of the Stampin' Up! Designer Series Paper Sweet Li'l Thing. I love this paper, it is so cute. 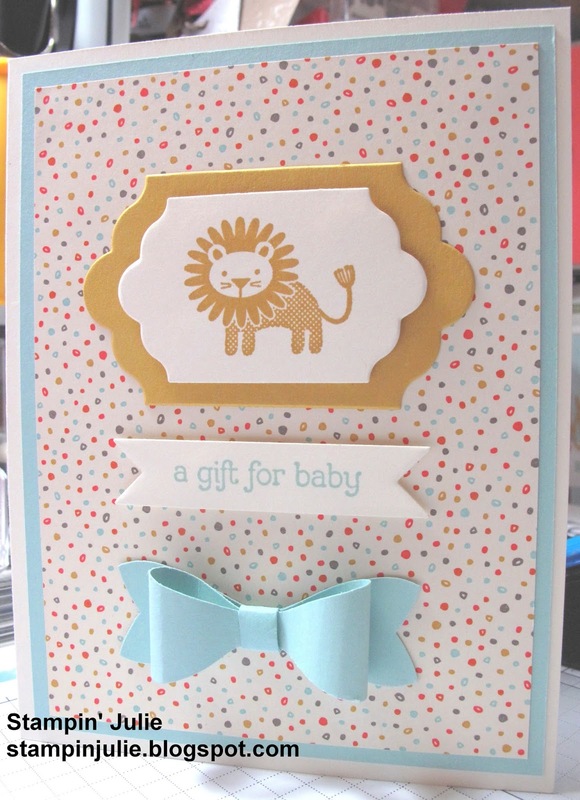 I stamped the lion from the Zoo Babies stamp set in Hello Honey onto a piece of Very Vanilla. Then I used my Lots of Labels dies and cut the lion out and then used Hello Honey cardstock to cut out the next size bigger to layer them. 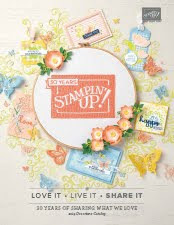 I used the same stamp set for the sentiment in Pool Party but used the Bitty Banners die to cut it out. Next, I used the Bow Builder Punch for the very cute bow out of Pool Party. 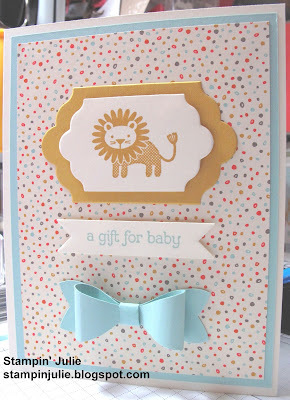 Finally, I put everything onto the card front using some Snail adhesive, glue dots, and Stampin' Dimensionals.